This journey is just beginning. 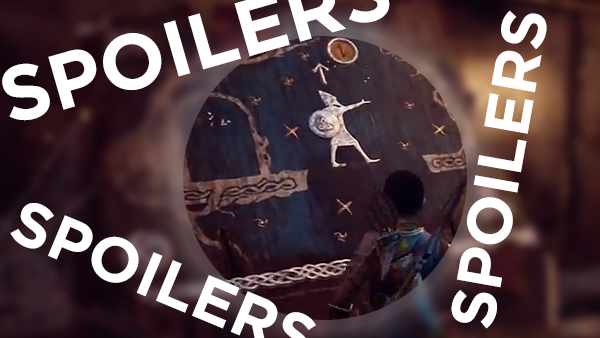 Continuing our extensive God of War coverage (you can find Ups & Downs, a full video review, Tips & Tricks AND an "Ending Explained" so far), there's a lot to talk about in terms of where the franchise goes from here. 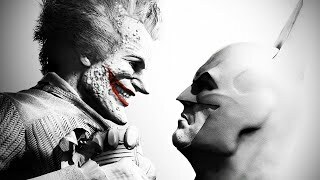 Once again, we're dealing with SPOILERS in regards to the game's secret teaser ending, and where future games are likely to be set. Nothing more. So, towards the end of the game you'll journey down into Odin's vault, uncovering a wooden plaque that shows the Norse God Tyr in possession of the Unity Stone, as he seems to have uncovered a way to travel between various mythologies and religions (as we now know them). 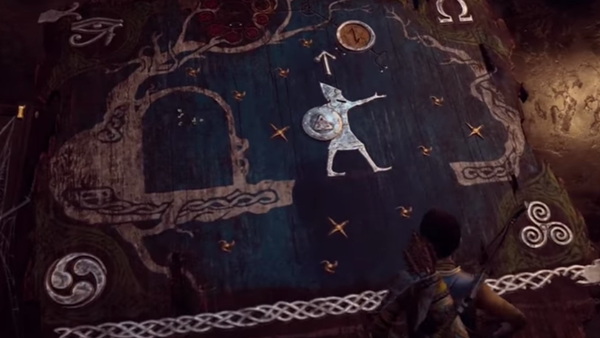 God of War's very premise is built on Kratos wandering "out" of Greek mythology and into Norse, yet this particular plaque shows not only the Greek symbol for "great" or "power" (the iconic Omega logo God of War has used for years), but also an Egyptian Eye of Horus, and another two that are incredibly exciting. That's three potential sequels set in markedly different time periods and belief systems, alongside the game's actual secret ending that cuts to black after revealing Thor, God of Thunder.